Bill Dugan caught four foul balls in the first five innings of today’s Detroit Tigers game at Comerica Park, then he caught another in the 8th inning. “This is a tie for my record, four in a single game. One in BP. Eight is my all-time record, four in a game, four in batting practice,” said Dugan, who was seated in Section 125 at Comerica Park, behind the plate. The Pirates were hitting a lot of foul balls today, but that still takes a serious combination of luck and skill. 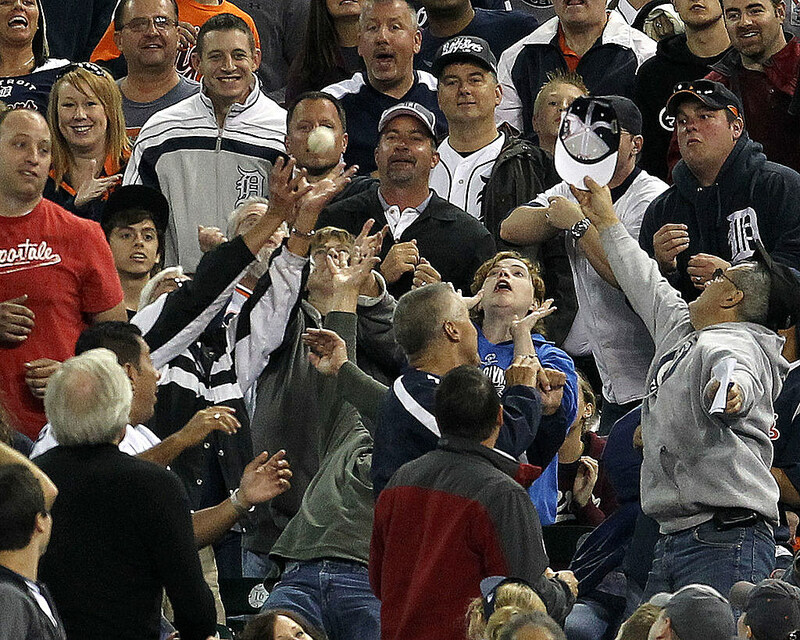 Either way, the next time you sit in Section 125 remember to bring your glove. The Tigers lost the game 7-4, but they gained a few young fans along the way.